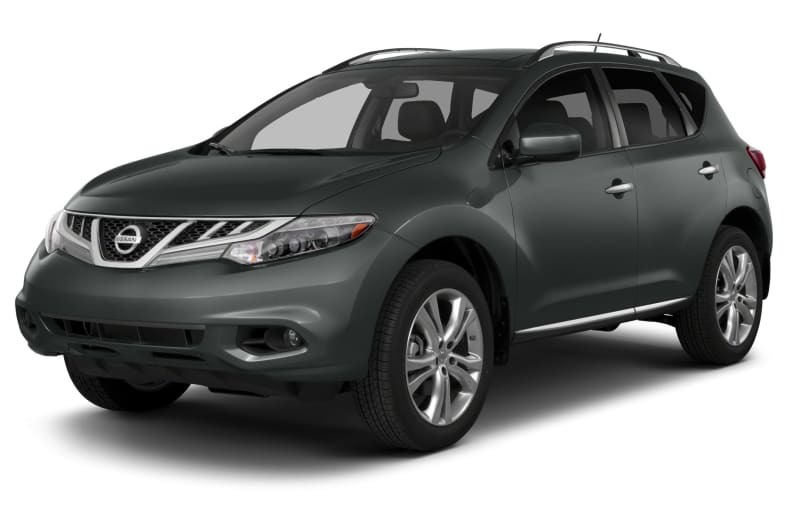 The Nissan Murano is a crossover vehicle that integrates function and high fashion. It combines sport-utility cargo capacity and sporty driving dynamics. The Murano can be had with either front-wheel, or all-wheel drive, and is available in S, SV, SL, or LE trim levels. The Murano features Nissan's 3.5-liter six-cylinder VQ engine, which generates 260 horsepower. The engine is mated to an Xtronic CVT (Continuously Variable Transmission) with adaptive shift control. Standard features for the Murano include 18-inch (20-inch on LE) alloy wheels, cruise control, LED rear taillights, and dual zone automatic air conditioning. Standard safety equipment includes, vehicle traction and stability control, brake assist, six airbags, and front seat active head restraints. For 2014, the Murano receives minimal changes.